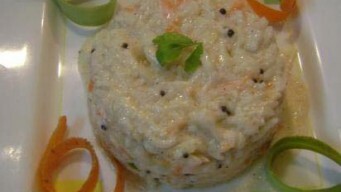 Curd Rice is a must to have dish in a south Indian menu. We share the recipe as we make here in North Indian style and try to re-create the south Indian magic. 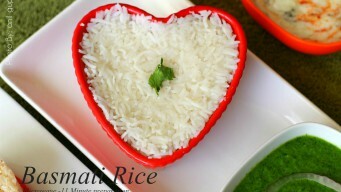 Basmati Rice in microwave can be cooked in 11 minutes. Its faster than cooking on stove. Use 2 cups of water for each cup of rice. Washing rice is optional. 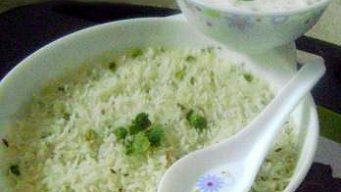 Matar Pulao recipe in Microwave. Delicious Indian style Peas White rice are served with Main course curry like Punjabi Kadi, Dal Makhni and breads. 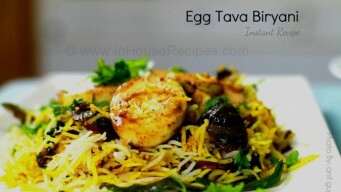 Cook rice in open pan or vessel with this tried and tested recipe. 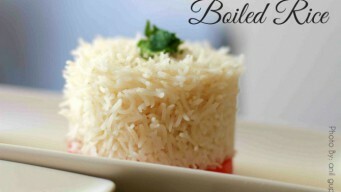 Cook white basmati rice for 15 minutes on gas stove to get steamed or boiled rice.